The high-end Barneys Love Yourself Beauty Bag Event is back and will run from March 6 -10, 2018. The Barneys Love Yourself Gift bag theme this year is SO MUCH LOVE IN A LITTLE BAG. Spend $200 on cosmetics, skincare, or fragrance to receive a 26-piece women’s or 24-piece men’s bag filled with our favorite of-the-moment products. Eligible items are from Beauty or Men’s grooming Departments. It would be a great gift idea for yourself only at Barneys New York! Sponsored post / This post may contain affiliate links. Read the full disclosure. Barneys New York offers two big events per year usually in March and September. 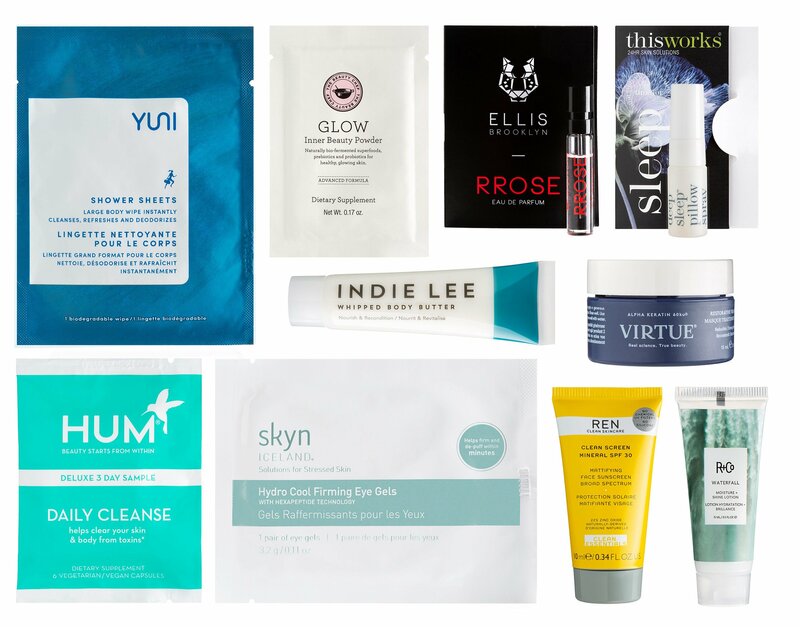 The women’s gift bag is packed with new season full size and travel size products from 25 luxury beauty brands features La Mer, Sunday Riley, Diptyque, ReVive, 3Lab, Eve Lom and a lot more. For insider access: thewindow.barneys.com directly! If you’re something of a beauty fanatic, have a closer look at some of the samples! Gift bags from this event are epic! There are two bag options: men and women. UPDATE 3/5: See men’s gift bag content here. Have you tried these luxe items? If so what are your thoughts about them? How to get your Barneys New York Love Yourself Sample Bag 2018 or Grooming Kit 2018? Free complimentary shipping on any US order. Plus, you can grab brand specific bonuses as step up gifts on top of your sample bag. See all available gift with purchase offers at Barneys New York here (automatically added – no code needed).